It is often argued that since so many Christian throughout the history of the Church have disagreed on the relationship between divine sovereignty and human responsibility, then five point Calvinism and full Arminianism must both be wrong. This sentiment has recently been set forth by noted New Testament scholar Dr. Craig Blomberg in his article titled "Why I'm a 'Calminian'," on the Zondervan Blog, in these following words. "If either pure five-point Calvinism or its consistent repudiation in pure Arminianism were completely faithful to Scripture, it is doubtful that so many Bible-believing, godly evangelical Christians would have wound up on each side. The former wants to preserve the Scriptural emphasis on divine sovereignty; the latter, on human freedom and responsibility. Both are right in what they want and correct to observe in Scripture the theme that they stress." The problem with this line of reasoning is that it fails to take into account that Christians can be and often are wrong about their theology. A notable example of this is the controversy over the deity of Christ in the early part of the Church. 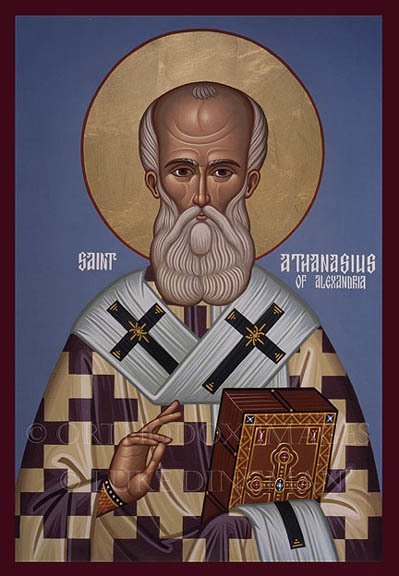 Athanasius stood for the biblical teaching of the deity of Christ, even in the face of great resistance. Athanasius Contra Mundum, Athanasius against the world was his take on his situation. If Athanasius used the above line of reasoning he would have said, "Well, so many godly men believe that Christ is not divine, so I must be wrong." But he did not use this reasoning and neither do we on the issue of the deity of Christ. Even in our own day there are many who are far more pious than I who believe that Jesus is a created being or who hold that Jesus was adopted as the son of God. But we do not do theology by counting heads. Rather, we do theology by rigorous and thorough exegesis. I am sure that Dr. Blomberg would agree with this point even though he begins his article with this less than persuasive line of reasoning. The issue over Calvinism and Arminianism is fought on the pages of the sacred Bible and not in the halls of higher thinking. You're absolutely right. That's why I tried to qualify my remarks with words like "doubtful" and "Bible-believing." In a short post (I exceeded the word-length I was given as it was), one can't include every single caveat possible. I could have added, "using the same hermeneutics" and "adhering to all the other same fundamentals of the faith," and so on. But the heart of the blog was not my opening introduction anyway; it was the content dealing with middle knowledge. Thank you for taking the time to comment on my post. I am very grateful for your gracious demeanor and interaction. If you have time, could you elaborate on how adding the two new qualifications changes the point, yours or mine? Also, I apologize if I gave the impression in the post that I was interacting with the heart of your post. I was not trying to interact with your main point. Rather, I was trying to interact with the small (maybe even side) point made in your introduction. I have heard that sentiment from many. When I hear this I want to respond to it and your post gave an opportunity to do that. If you would like to interact on the heart of your post we could or I would refer you to a few other blogs that have done that (here, here). Thanks again for commenting. And thanks for YOUR gracious response. By saying it was doubtful that the two sides would stay at odds if the truth were mostly or all with one or the other I was granting that it was possible, even if IMO not likely, that perhaps one side did have more of a corner on the truth. By saying "Bible-believing," I was acknowledging that there are plenty of issues where the orthodox and the heterodox disagree and I think truth is entirely with the side of the orthodox, but I wasn't considering those kind of situations. Once again, thank you for taking the time to comment on our blog. It is always helpful to interact on points of disagreement, if for no other reason than to understand the other point of view better. I do understand that you granted that one side might have most, if not all, of the truth. Put another way, you think it is possible that Calvinism is completely right or that Arminianism is. My point in the post was that just because men differ on the issue does not mean that the Bible is unclear on this point. In other words, the Bible could be perfectly clear on a point that many people who read it miss. If I may ask, why is it that you think a middle road can and needs to be taken on this issue? As I see it, there are two orthodox options, Calvinism (all five points) or Arminiansim (all five points). What am I missing that you see that allows for a middle road? Also, I was wondering why you refereed to Alvin Plantinga as a "Calvinist." To the best of my knowledge he holds to libertarian free-will and other non-Calvinistic distinctives. Is he in print anywhere affirming Calvinism? This is highly possible and I just have unaware of it. Thanks again for your time and willingness to interact on this topic. You are truly a scholar and a gentleman! I hope some other folks are reading your blog too! As a New Testament scholar, I tend to start from the Bible rather than from theological systems deemed orthodox. So when I try to summarize what I see in Scripture and then compare that with Calvinism and Arminianism, in their classic formulations, I find that one side captures certain pieces extremely well and the other side captures certain pieces extremely well, that both sides capture a few pieces reasonably well and that neither side captures the remaining pieces reasonably well. So I go "shopping" for hybrid alternatives. Plantinga was on our campus a number of years ago and referred to himself as a Calvinist. That's the main reason I applied the label to him. I had specifically raised the question of middle knowledge in a Q and A time, because in his talk it sounded like what he said was consistent with it, and I was curious whether or not he, as a self-identified Calvinist, saw any inconsistency with holding that view. He gave a very clear articulation of the perspective and then said he saw no contradictions with his other beliefs. But those were the 90s; I don't know if he has modified his views since. You are too kind with these words, "I hope some other folks are reading your blog too!" We try, here at Bring the Books, to post things that spark good, God glorifying conversation about important issues. As an aspiring New Testament scholar, I whole heartily agree with your sentiments of starting with the text. 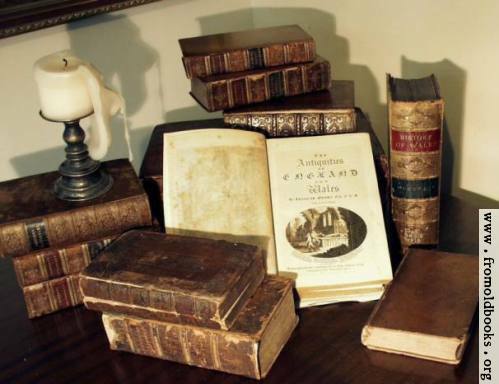 As the Westminster Confession beautify puts it, the Bible is "given by inspiration of God to be the rule of faith and life." Thus, all of our theology must be derived from the scriptures (a point I need not remind you of). However, what do we do when we interpret two different texts and our exegesis of these two texts seems to be at odds? In our case, what do we do when we read a passage that seems to support the Arminian teaching that one can lose their salvation and another text that seems to support the Calvinist doctrine of perseverance? As a New Testament scholar, what is the proper course of action at this point? I think my question could be best put like this, in your understanding how does exegesis interact with systematic theology, given the above dilemma? I am eager to hear your thoughts on this point. It seems to me that this is where the "rubber meets the road" and where a fruitful discussion could proceed from. Once again, thank you for commenting and taking the time to work through this issue with us. We do appropriate it. I remember discussing middle knowledge in a seminar class, The Problem of Evil, with Dr. Robert Stewart at the New Orleans Baptist Theological Seminary several years ago(2004?). The thought was that God held the thought of all possible worlds, and THEN chose the actual world for his glory, which would lead to the best of all possible worlds (glorification, new heavens and earth). I asked Dr. Stewart if that was the way a middle knowledge adherent would put it, and he said yes. The problem in this view seems to be that God is not eternally omnipotent in his omniscience. The middle knowledge view has God gaining knowledge he did not have in the past by reviewing all possible worlds, and THEN obtaining the knowledge of the best one for his glory. The Reformed view argues that God always knew the best of all possible worlds, because he is omnipotent in his omniscience from all eternity. There was never a time when God did not have this knowledge. There are plenty of Scripture verses that could, but won't be quoted here that are incompatible with middle knowledge. Didn't the church rejected Molinism in the past for the same reasons. Hey, another party jumped in--great! I can't speak for Molina, or any one specific adherent to the view, but it seems to me that if middle knowledge is truly going to be a mediating view then it has to avoid the kind of sequencing you describe, Steven, and affirm simultaneity instead. Of course, then one gets into the whole question of whether God exists in time. Many Reformed theologians (and others) and philosophers have assumed that it is not necessary to speak temporally of God's actions in situations in which he is not interacting with creation. If he were outside of time "before" the creation of the universe, then it seems unnecessary and possibly even incoherent to speak of his coming to know something he didn't previously know--his awareness of all possible worlds would simply have been a part of his eternal nature. Of course, that could be predicated even if he existed within time too. As for the interaction of theology and Bible, the more nuanced explanation is that it's always a dialectic, conscious or unconscious. Most people start their Christian life with some theological synthesis of the Christian faith they have been given, however rudimentary (a Romans road, 4 laws tract, or whatever) and as they become more and more familiar with Scripture may come to modify the synthesized or systematic presentation of the gospel through which they came to believe. And the process continues lifelong. The example regarding the perseverance of the saints is a good one. If one comes to faith in a tradition in which that was taught to them based on a few key verses, then they usually encounter other texts as they read Scripture that seem to contradict that and they have to wrestle with whether they have inadequately interpreted one or more texts or whether the original theological synthesis was less than fully adequate. Both happen to people regularly. I really appreciated Grant Osborne (a centrist Arminian) at TEDS years ago giving us an assignment in which we had to take a list of the key texts used to support "eternal security" and research to find the strongest Arminian explanations of them. Then we had to reverse the procedure and look at the key Arminian prooftexts and find the strongest Calvinist explanations of them. In the process, I became convinced the Calvinists did a better job with the "Arminian" texts than vice-versa on that issue, though it wasn't a "slam dunk." I think that's a good method to use for any analogous debate. Thanks for the helpful explanation on how to work with the biblical text.It was very clear and shows your desire to deal with the text itself. As I was reading your reply (and as I reread your original post) I was struck with the following question: where does the Bible teach openly and plainly middle knowledge? In other words, as a New Testament scholar, where do you exegete middle knowledge? Middle knowledge has always seem to me to be a philosophical position and not an exegetical one. But seeing your desire to be biblical (i.e. get your theology from the text), I know that there must be something in the Bible that you see that I don't. Thanks for your continued interaction with us. We are very grateful for your willingness to dialogue with us. To preempt Blomberg, I would say it teaches it openly and plainly right next to where it teaches the doctrine of the two natures of Christ openly and plainly - which is a veiled way of saying that orthodoxy has always sought to hold in tension the paradox of human and divine initiative in the person of Christ, but by expressing that both simultaneously operate in seemingly contradictory passages, and not at all openly or plainly (for how can one describe a Mystery in such a way?). As to your question about properly locating middle ground as EITHER exegetical or philosophical, it is important to remember that exegetical positions REQUIRE prior theological commitments to be sustained. Just as faith is required to produce any interpretation of scripture (much less a faithful one). So setting them off against each other in your assessment of the middle ground seems to me to be a red herring.